LA Comedy Live is excited to announce that one of India’s most popular comedians, Kanan Gill, will be making his anticipated return to Singapore! Kanan Gill’s latest special, ‘Teetar’ is a personal, observational and deeply stupid follow up to 2017’s 'Keep It Real'. In this hilarious one hour show, he juggles ideas from Julius Caesar’s death to marching to bands and his building societies. The show also explain what "teetar" means. 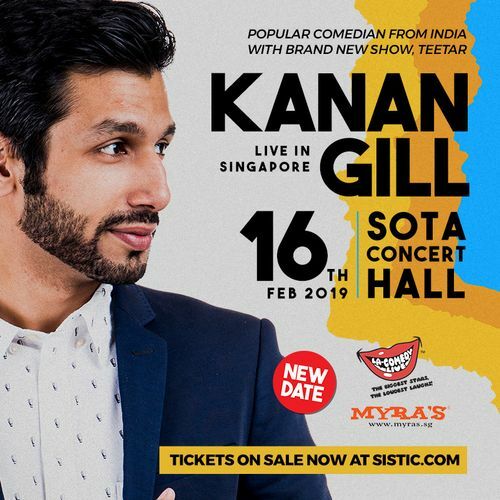 *New Date for Kanan Gill - Live in Singapore! The event will now take place on the 16th of February, instead of 9th of February at SOTA Concert Hall!